This is a bus ticket for both journeys. 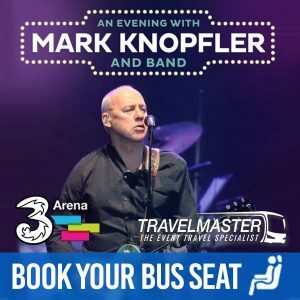 Through Travelmaster, you can purchase tickets for Bus to Ed Sheeran Dublin Phoenix Park from Cork, Kerry, Waterford, Tipperary, Limerick, Kilkenny, Carlow & Laois to thePhoenix because Travelmaster provides an easy and smart way to travel to concerts – since seats sell quickly, don’t delay and book today! While you relax and enjoy your journey, others are rushing from hotels and luas stops to get to the venue. Travelmaster buses drop you outside Phoenix Park and return to collect you after the event! How do I buy a ticket for a bus to Ed Sheeran Dublin Phoenix Park? 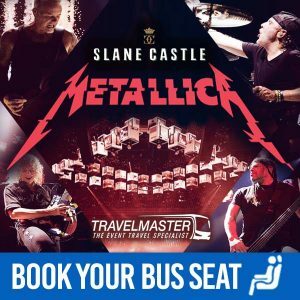 Why should you use Travelmaster to travel by bus to Ed Sheeran Phoenix Park? LOCAL: First of all, Travelmaster collects you in your nearest town and delivers you to Phoenix Park. COMFORT: You travel safely in comfort and as a result, you arrive refreshed to enjoy the Ed Sheeran Phoenix Park concert. EASY: Travelmaster will drop you and collect you outside the Phoenix Park. Hence, no need for taxis or too much walking. ENJOYMENT: Finally, we take the stress and hassle out of concert travel! Sit back and relax! We get you there and home, you can even enjoy a few drinks! !